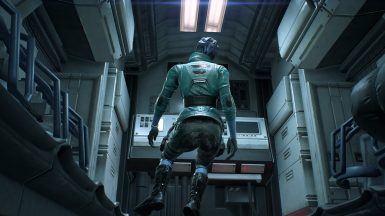 An armor retexture for Peebee. 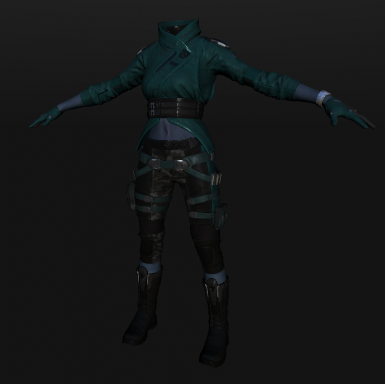 Only modifies her clothes and does NOT change her face or breather mask. 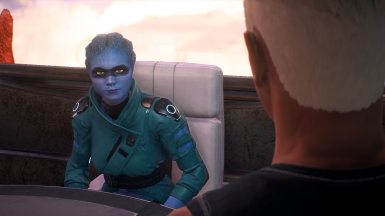 Frosty Tool Suite for MEA Needed to install mod. Published mod on Nexus Mods. 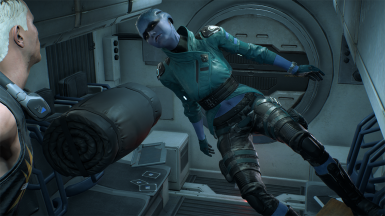 This mod replaces Peebee's armor texture. 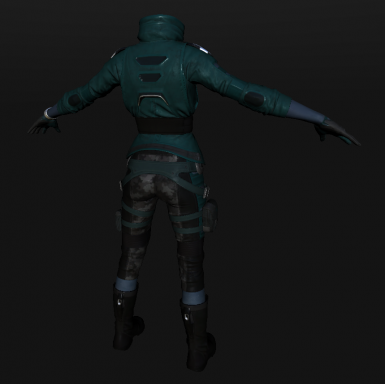 Changes include a teal jacket, darker pants and accessories, and some camo print on the pants. 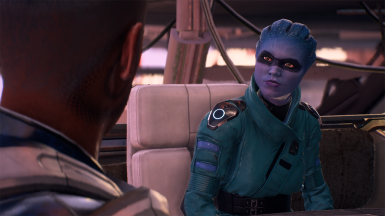 Please note that this mod does not affect Peebee's breather mask, so the visor will still have a purple tint to it (sorry - I tried to change it, I really did). 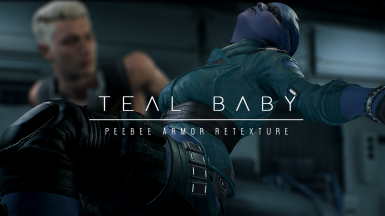 This retexture should be compatible with any face or helmet mods for Peebee.